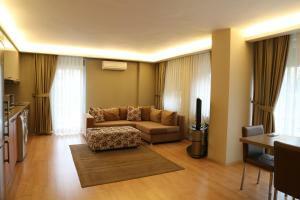 Most rooms in Istanbul are quite small so having an apartment was a nice change. Super close to everything as well so the location was great. Spacious lounge. Good layout. Nice size dining table and chairs. Good internet. Comfortable bed. Spacious accommodation centrally located in Kadikoy/Suadiye district, close to nice shops and restaurants, staff helpful and polite! Thanks for your excellent service and assistance Ms Tuba! Cleaning was good. It’s located in a nice and quiet area. Great place, you can feel like home. And great location next to lovely Baghdad street. 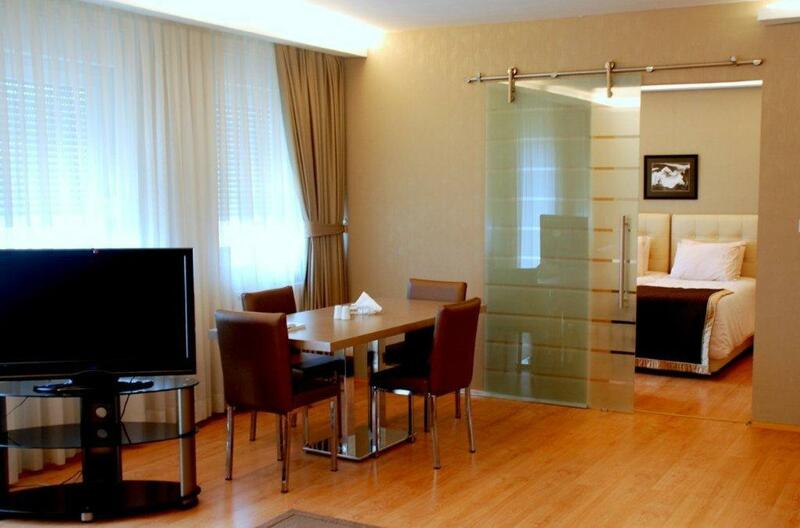 Lock in a great price for One Istanbul Hotel Suadiye – rated 8.6 by recent guests! This modern residence is located in the Asian side of Istanbul, offering fully equipped luxurious suites. 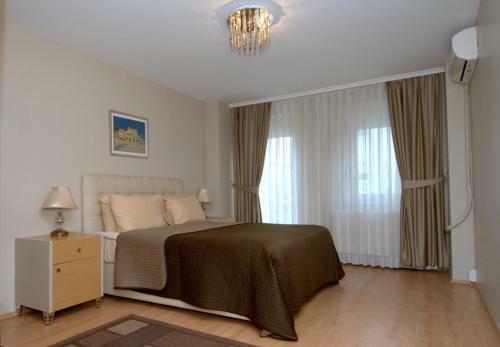 The famous Bagdat Avenue is only 100 feet away with many popular cafes and shops of the famous brands. 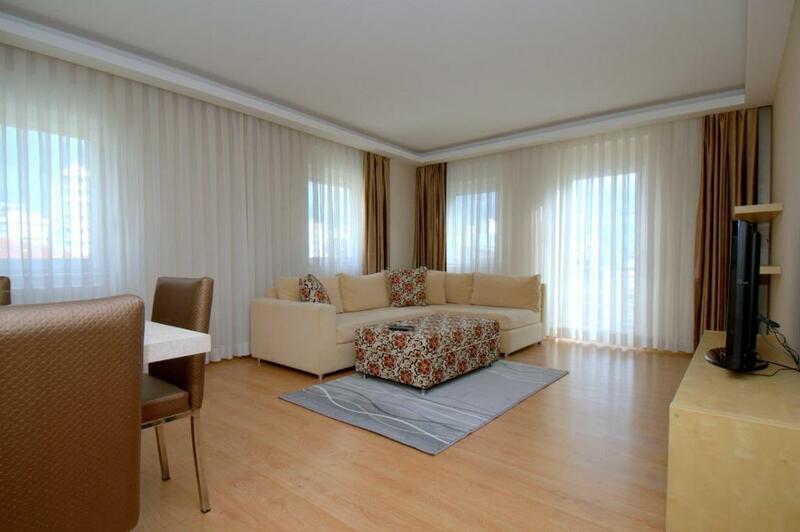 The spacious suites of One Istanbul Residence are tastefully decorated with comfortable furniture. 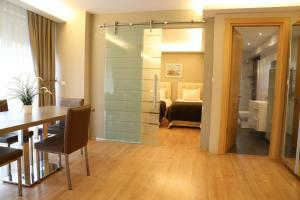 Each room has air conditioning, central heating system and free Wi-Fi. A washing machine is also available. The suites offer cooking facilities with their private kitchens. All suites have a balcony and some of them feature stunning views of the Marmara Sea and the islands across. Bagdat Avenue is one of the most popular shopping areas of Istanbul. Guests can visit the boutiques, or the restaurants with international and local cuisine. 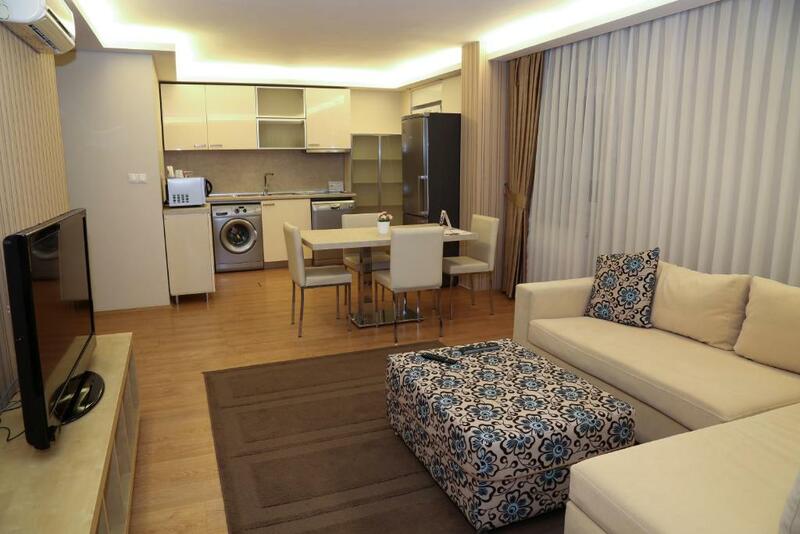 The nearest bus station is only 100 feet from One Istanbul Residence. Sabiha Gokcen Airport is 16 mi away. When would you like to stay at One Istanbul Hotel Suadiye? 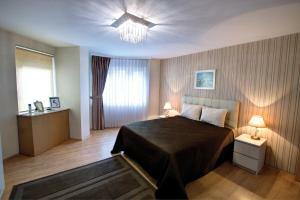 This spacious suite includes a bedroom and a living room with a seating area and kitchen. This spacious suite has 2 bedrooms and offers a satellite TV, air conditioning and a balcony. The kitchen is equipped with a stove, refrigerator and a microwave. There is also a dishwasher, dining area and an electric kettle. Private bathroom has free toiletries and a hairdryer. A seating area, safety deposit box and a washing machine are available. This suite has a balcony, view and electric kettle. This suite has a balcony, oven and washing machine. One Istanbul Hotel is centrally located in one of the most valuable locations of Bagdat Street in the special neighborhood, called Suadiye. 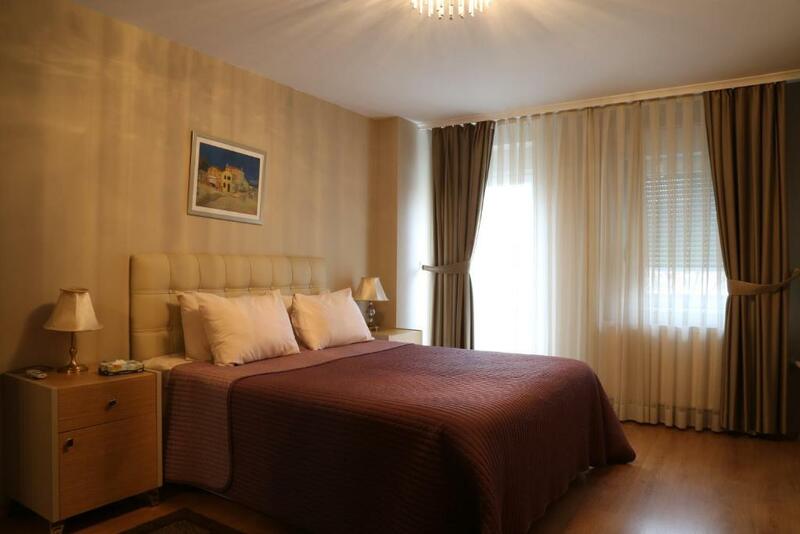 One Istanbul Suadiye Hotel is between Baghdad Street and the coastal road, Istanbul's Kadikoy Suadiye - CHAMPS E'LYSEES, maintains the characteristics of being one of the most important regions of the Anatolian side. In Suadiye Baghdad street, you can find many cafes, restaurants, cinemas, gyms, in addition to plenty of shopping for foreign brands with boutiques and shops all within walking distance. At the coastal road, there is plenty of hiking, biking, fishing, jogging, where you can also relax at the cafe on the beach, watching the beautiful Marmara Sea while you are sh0pping your coffee or tea against the Prince Islands. The journey of ONE ISTANBUL HOTEL began approximately 7 years ago when the lack of a need for a boutique hotel on the Kadikoy Suadiye side was recognized. The philosophy was to be different from other Anatolian Kadikoy Suadiye side hotels where guests would feel special and in a home environment. From this starting point, every detail was planned out and designed meticulously in building the suites, the terrace, reflecting the warmth of a home in a friendly environment. Our main mission is for our guests to have easy access to our boutique hotel, stay long term and miss their accommodations once they left. With suites that offer great comfort and homelike amenities in different sizes, ONE ISTANBUL HOTEL offers its guest a friendly, peaceful and comfortable environment. If you feel like getting out of beautiful Istanbul’s crowded streets and getting away from the noise for a while, ONE ISTANBUL HOTEL is approximately 10 minute walking distance from Bostanci ferry terminal which has frequent boats that will take you to Prince Island pier in 30 minutes. Once you are on one of the islands, you will immediately feel like you are on a vacation where you can also taste delicious fresh seafood in a restaurant by the Marmara Sea. House Rules One Istanbul Hotel Suadiye takes special requests – add in the next step! One Istanbul Hotel Suadiye accepts these cards and reserves the right to temporarily hold an amount prior to arrival. The stairs that were just outside the hotel were damaged and it was dangerous. Shampoo and soap was not supplied for the bath. Also the detergents for dishwasher and washing machine was not provided. Everything was great . . . Since this was our second stay in this hotel during our last trip and I already submitted my review for the first stay, I will submit the exact same review for the second stay. Excellent place to stay in Istanbul. The hotel is located in Suadiye, one of the best neighborhoods in Istanbul (half block away from Bagdat Caddesi and half block away from the water front promenade). Although it might feel far away from the prime tourist attractions, it is actually 20 minutes away from Kadikoy with public transportation, where you can take a ferry to almost anywhere in Istanbul ("old" Istanbul, Asian side, Bosporus, Princess Islands, etc.). The beauty of the location is that it is away from all the crowded tourist areas. The staff is absolutely fantastic, always willing to help, cheery and accommodating . . . nicest people you can meet in the hospitality business. Every one at the front desk spoke English fluently. We stayed in a one-bedroom unit, which had a huge bedroom with three large closets, good size bathroom, good size kitchen and large living room. Rooms were furnished nicely and kitchen was well equipped (large refrigerator, stove, oven, dish washer and washing machine). The unit had a lot of natural light, extremely clean and very quite. It was our first stay at this hotel and we stayed there twice during the three week trip. We are planning to stay there next time we are in Istanbul. We liked everything . . . Excellent place to stay in Istanbul. The hotel is located in Suadiye, one of the best neighborhoods in Istanbul (half block away from Bagdat Caddesi and half block away from the water front promenade). Although it might feel far away from the prime tourist attractions, it is actually 20 minutes away from Kadikoy with public transportation, where you can take a ferry to almost anywhere in Istanbul ("old" Istanbul, Asian side, Bosporus, Princess Islands, etc.). The beauty of the location is that it is away from all the crowded tourist areas. The staff is absolutely fantastic, always willing to help, cheery and accommodating . . . nicest people you can meet in the hospitality business. Every one at the front desk spoke English fluently. We stayed in a one-bedroom unit, which had a huge bedroom with three large closets, good size bathroom, good size kitchen and large living room. Rooms were furnished nicely and kitchen was well equipped (large refrigerator, stove, oven, dish washer and washing machine). The unit had a lot of natural light, extremely clean and very quite. It was our first stay at this hotel and we stayed there twice during the three week trip. We are planning to stay there next time we are in Istanbul. Need to pay 60EUR for child... And breakfast.